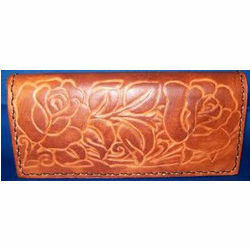 We specialize in designing and exporting an extensive gamut of Leather Checkbook Holder for men and women. Manufactured using perfectly tanned leather and qualitative accessories, these Leather Checkbook Holder sets are highly functional for orderly placing products. Available in varied sizes, colors and other specifications, these are customized for our clients as per their requirements. Looking for Leather Checkbook Holder ?